Drs. Trylovich, Gifford, & Mantor. 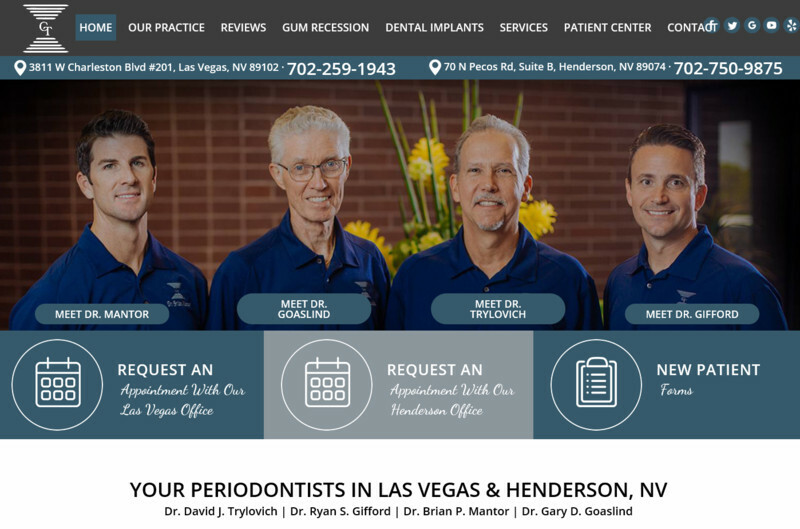 Our experienced periodontists in Las Vegas and Henderson, Nevada, are dedicated to helping you regain a healthy, beautiful smile. When you visit our office, we treat you with the respect and compassion that you deserve, and we take great pleasure in providing you with quality care in a comfortable, welcoming environment. Give us a call today or visit one of our conveniently located offices to learn more about our periodontal treatments, and schedule your consultation.